Many have been intrigued with the Age of Munda rules I made for my game against Wilhelminiatures so here’s more on that subject! I’ll try to structure the text a bit to make sense of it all. I’ve been into this hobby since the early nineties and I’ve played everything from 2nd ed 40k up until today, Necromunda and I own almost all the rulebooks I could ever need from those games as well as the Inquisitor book. They’re all clunky and intricate. You can make it function but it will demand work putting it together and the same getting others to get into it. Though one ruleset that GW has hardly demands anything. But what it does have is being very very easy to get to grips with. If Helge remembers from way back when we started discussing doing Nestorian Infestation together, I was talking about using AoS rules already then. Pre turn. Here you deal with the random stuff, rallying characters, random movements or actions but most importantly this is where you GM (GameMaster) stuff. It can be a third person or it can be handled between the players themselves. The point is keeping the narrative element on track and deal with the stuff that aren’t described anywhere. Very important phase and one that worked a treat in the game we played. Movement. Here you move, or stay still. That’s about it for this phase. Shooting (or running). So here you either shoot or run. Shooting is using the ranged weapons from your character scroll in order. If what you’re shooting on is in cover it needs to be 50% or more in cover. This will give a -1 modifier on the To hit roll. Less cover is no cover. Meaning it’s not enough to protect you sufficiently. If someone is killed within 5″ of your own take a leadership test, no negative modifiers. If you fail flee d3 and you must rally in the next pre phase to get back in. Charging. D3+1 +weapon range. Meaning if you can get so close that your weapon is in reach you can complete the charge. Less is failed and no moving at all. Note that bionic legs and cavalery has d3+2 + weapon range. Combat. The one charging strikes first. The defendant strikes back after that. In a multiple combat the one charging strikes first with the character of his choice. Then the defendant strikes back with one of his. And so on until all involved are done. Note that characters within 1″ of each other are locked in combat. That means that if someone attacks you with a range 2″ weapon and you survive you are not locked in combat as long as you’re not within 1″. Resolving the combat. No wounds on either side or equal amount – draw. Winning a combat means inflicting the most wounds. The difference in wounds is a negative modifier to your leadership roll. If you fail you flee d3 and need to rally in the next pre phase to get back in. Battleshock. If your leader is killed or you’ve suffered 25% or more losses in total all members must take a leadership test each round from then on. If you fail you flee d3 and will have to rally in the next pre phase to get back in. Pictured above is the typical AoS warscroll and underneath here is my simplified version. Basically you take stats from 40k and/or Necromunda and converted them into values in the new character scroll. Let’s go through them all to explain my reasoning behind it. Wounds. Having only one wound is kinda daft so the minimum is 2 here but a hero or a very tough character has 3. Remember other factors play in on the total so this is often more than enough. Move. Since you most likely will play on small tiles reducing the move here gives you more play time otherwise it will kinda go to fast. So normal guys 4″, bionic legs 5″ and cavalery or the like will be adjusted to 8″ (was 10″ in the first batrep). Save. Here I basically use 40k rules so a terminator armour is 2+, normal space marines 3+ but that’s very very good. For normal guys a 4+ armour armour is only for the best equipped so 5+ and 6+ is the standard I’d say. Remember though – no armour means no save and keep it at that. Leadership. This one we botched in the first game since our leaders had 10 and the grunts had like 4. I’d say 7-8 and maybe 9 on leaders or very special characters so avoid 10. For grunts I’d use the range of 3-7 depending on what type of characters we’re talking about. My abhumans had 3 and the others 4 as they are the dregs of humanity. In comparison I’d say that Helge’s crew should have used 6-7 since they’re well equipped and well trained. Weapons. This coloumn is for listing everything that counts as a weapon but note that for those without a close combat weapon I added fists as they will fight in close combat. Range. Here I used Necromunda for reference. Note that rifles and the like can’t shoot at close range but pistols can. This was because I deemed that they will not risk using a rifle when you’re so close to an enemy. Funny mechanism and it created natural roles for a lot of characters. I know everyone won’t agree with this so change it if that’s the case. For close combat weapons it needs to be a very big or long weapon to have more than 1″ range. Max range 2″. Attacks. Here I also restrict quite a bit because it’s not cool alpha striking people. So 1 is the norm here regardless of weapon and character except heavy funnets and a few others where it made sense. Note several of my characters will be adjusted here before the next game. and so on. Note that cumbersome weapons (or mutations) makes it harder to hit so -1 to hit on the above conversion factor. On the other hand bionics can give a +1 to hit for guns for example. Here you also have things that can make it easier or depending on type of weapon and the character at hand. Use common sense and it’ll work out just fine. Rend. The most brutal weapons give rend which is basically a modifier to your save roll. So most weapons doesn’t give rend but power-, plasma-, melta weapons for example does. -1 or -2, not more. Damage. Like on rend, the more brutal weapon the worse damage it gives but most weapons are only 1 here. Max 2. This is frankly put the most important part of the puzzle but there’s no easy answers either. I personally use my 25 odd years in the hobby coupled with the framework from the narrative section in the AoS Generals Handbook to get by. 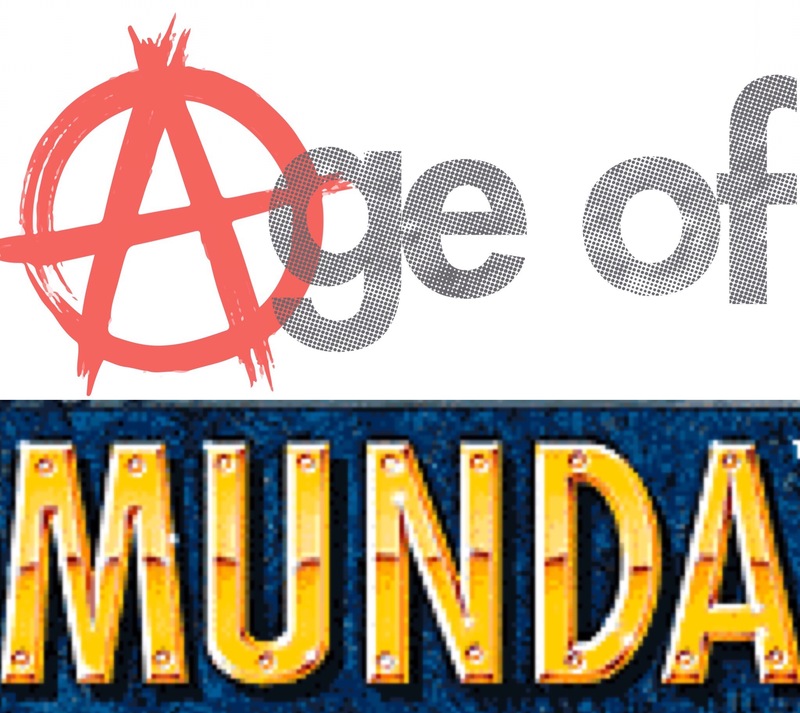 What do I need to play Age of Munda? A good friend or friends that are fine playing with a loose rule frame and instead focusing on the narrative. 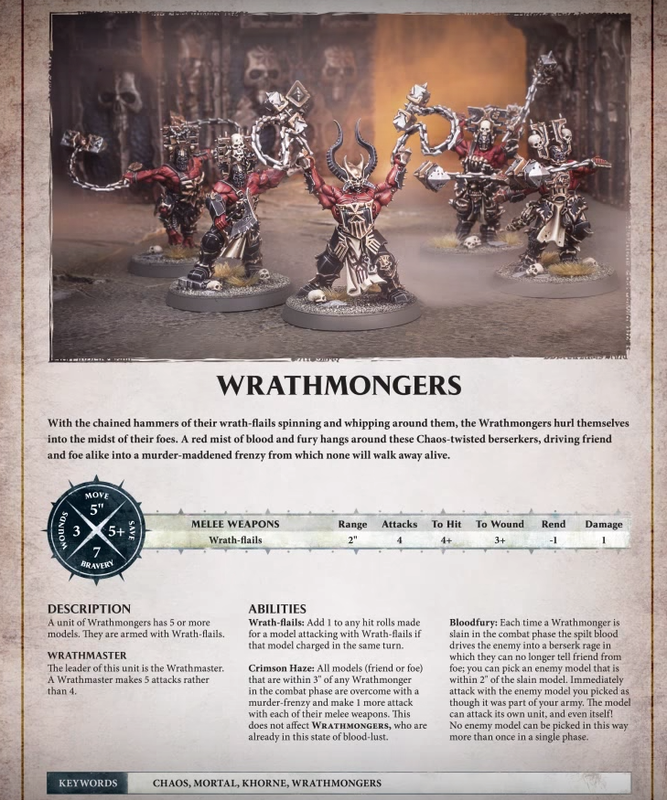 The free Age of Sigmar rules as a simple reference for core rules. 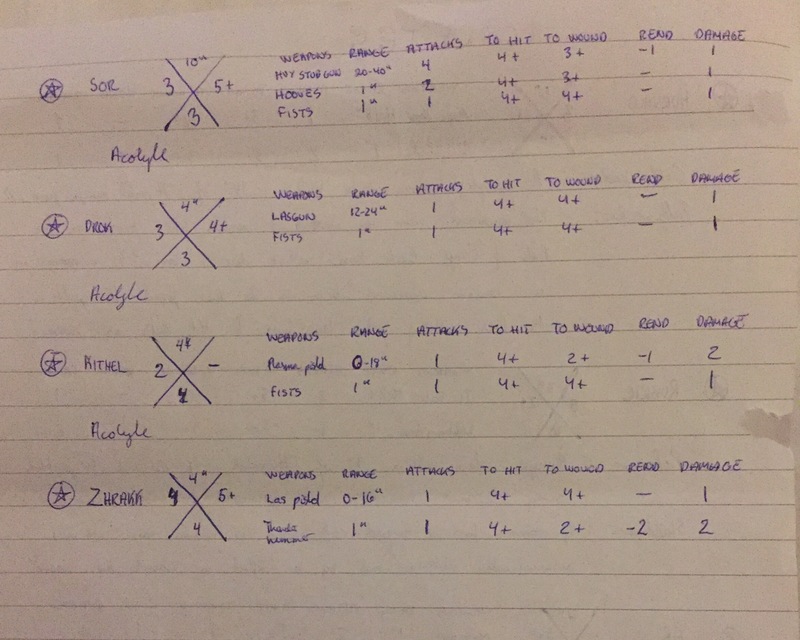 The Necromunda rulebook or a 40k rulebook or simply put something with loads of different weapon profiles. A book like AoS Generals Handbook or any other book with loads of different scenarios so you can develop the narrative or simply write your own. Beer. Because playing a game with good friends and drinking beer is awesome. Am I trying to revolutionalize INQ28? I’m trying to make a ruleset that I’m able to easily remember and can even easier teach to those who want to play with me. One that can be picked up and put into action in no time. I’m not trademarking anything (or in a position to do so) and if anyone wants to use these ideas please do just that. Thanks for posting this. I like my rules fast and simple. Good call dude, good call! Nice done ! I’ll use your system ton introduce some chaps to Inq28… that’s brillant ! This is great! Might need to be trying these rules for my new project, think it would help simplify things and keep the narrative the focus. . .
It’s a great idea and one I plan to put into effect on my Chapel project.